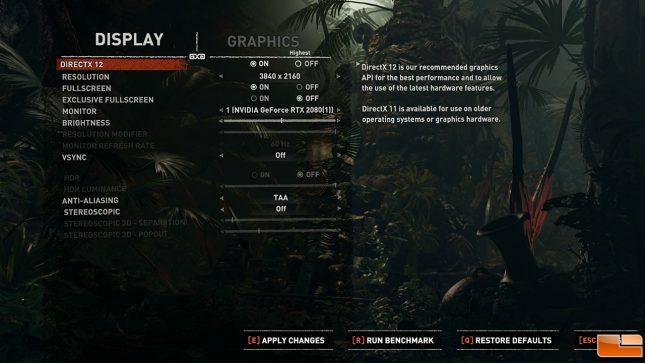 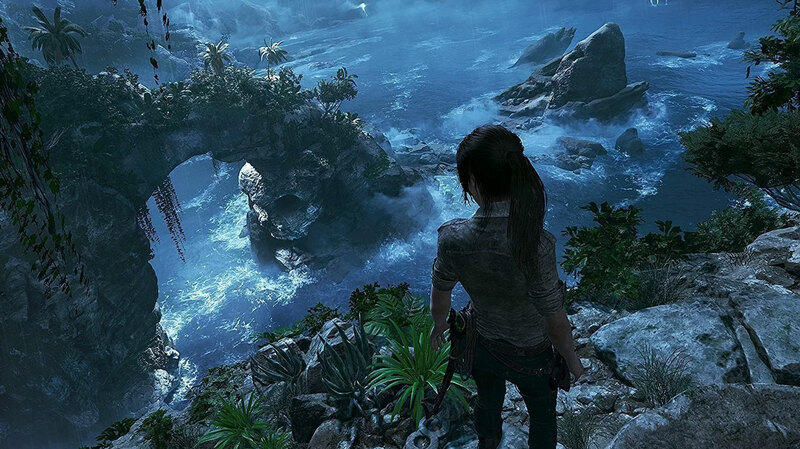 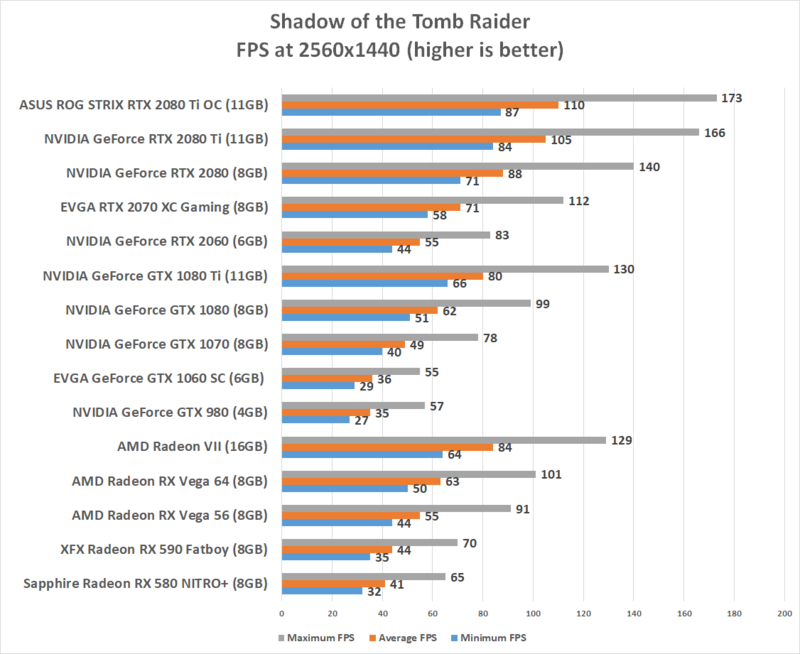 Shadow of the Tomb Raider was benchmarked with the highest image quality settings with Temporal AA. V-Sync was disabled and we used the game titles built-in game benchmark. 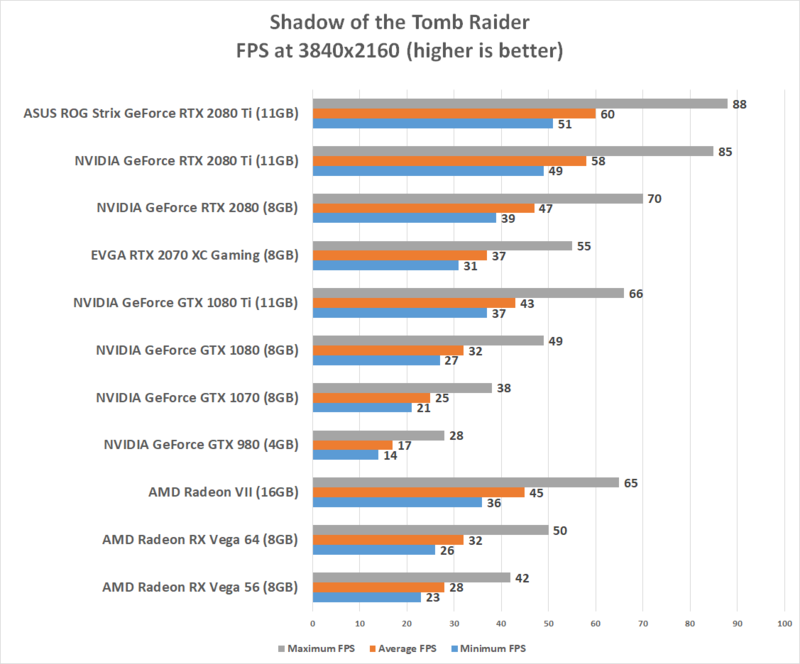 Benchmark Results: AMD managed to pull off a 33% performance improvement over the Radeon RX Vega 64 card at 1440P and a 41% improvement at 4K with the Radeon VII. 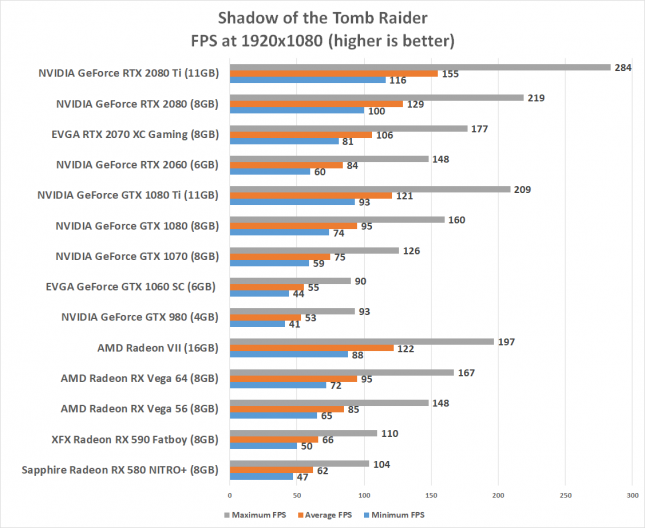 Solid improvements that put AMD just ahead of the GeForce GTX 1080 Ti Foudners Edition and behind the GeForce RTX 2080 Founders Edition in the benchmark results.